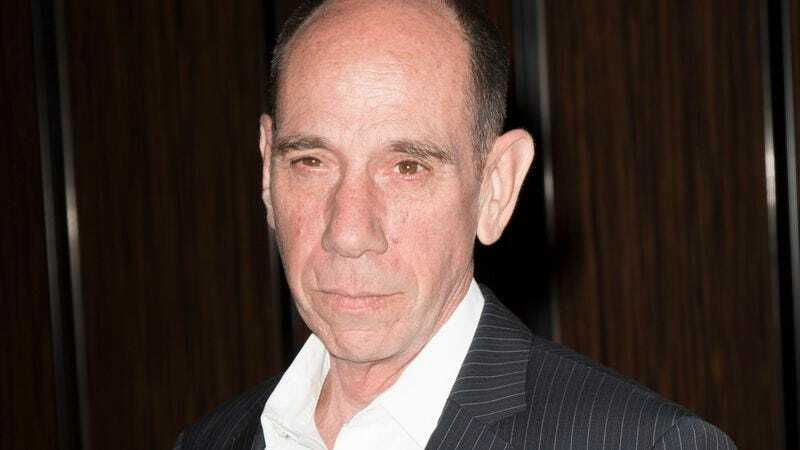 According to Deadline, actor Miguel Ferrer—probably best known to A.V. Club readers for his work on Twin Peaks, though he also had prominent roles on NCIS: Los Angeles, Crossing Jordan, and in RoboCop—has died today after a battle with cancer. He was 61. Born in Santa Monica, California in 1955, Ferrer was the son of Academy Award-winner José Ferrer and Rosemary Clooney, making him the first cousin of George Clooney. Deadline says he was “an accomplished drummer” before he became an actor, having recorded with The Who’s Keith Moon and toured with his mother and Bing Crosby. His first acting job came in 1981, when he appeared on an episode of Magnum, P.I., and he began getting more and more frequent gigs throughout the ‘80s. His career took off even more in the ‘90s, perhaps thanks to his memorable appearance in Twin Peaks as Albert Rosenfeld, a cynical, by-the-book FBI agent who—like most people on that show—later proved to have a lot more depth than it seemed at first. After Twin Peaks, Ferrer appeared in The Stand, Broken Badges, On The Air, and he had regular roles on Crossing Jordan, Desperate Housewives, Adventure Time, and—most recently—on NCIS: Los Angeles. Ferrer was set to reprise his role as Rosenfeld in Showtime’s Twin Peaks revival, though it’s unclear if his death will affect that at all. Also, just this morning The Hollywood Reporter announced that he will be playing iconic DC Comics villain Deathstroke in the animated film Teen Titans: The Judas Contract. His work on that film had been completed. Ferrer is survived by his wife and two sons.